"The most exciting part of being an entrepreneur is being able to make things … We just launched in to Germany and it gives me immense pleasure (and very sweaty palms) when I think of the hundreds of thousands of consumers coming in to contact with our products." During my second year at university I founded We Connect Students from my university dorm room. 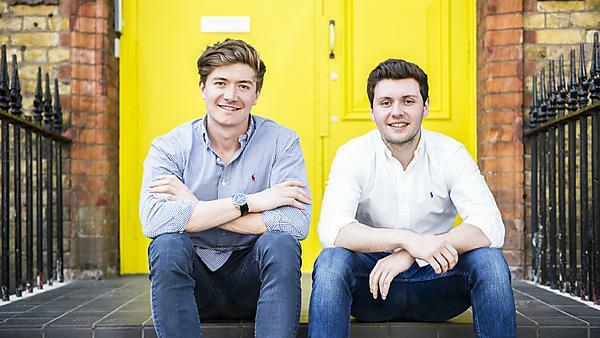 This start-up was intended to improve student retention whilst at the same time disrupt the recruitment methods of employers. This enterprise was a really exciting moment in my life because it was distinguished as one of the UK's top 100 start-ups. Just under four years later I exited this start-up and co-founded Wow Food and Drinks Ltd, a health food provider, with a friend I met at Plymouth. If something can go wrong it will go wrong. Unforeseen bumps in the road whilst launching a company are particularly stressful moments. There are many obstacles which always slow you down, and you have to come to terms with the fact that your timeline and step-by-step plan is never going to go as you expected. The most exciting part of being an entrepreneur is being able to make things. It's important to ride and enjoy the highs as much as possible and one of the best things is when you finally get to see your product or concept in your consumers / users hands. We just launched in to Germany and it gives me immense pleasure (and very sweaty palms) when I think of the hundreds of thousands of consumers coming in to contact with our products. Be prepared to work really hard for what you want. I start at 7.30am and don’t finish until 11pm. It depends, though, on what your goal is. For some people the thought of starting at 7.30am and not finishing until it’s nearly midnight sounds ridiculous and boring. But if you want to launch a business it’s kind of inevitable that you will be working long hours. And to be honest, it is expected of you. Sure I would, but I also think that you should be prepared to extend yourself outside of just your course material and look to achieve additional goals beyond just, for example, achieving a 2.1. It is important to take part in extracurricular activities, meet people across the University, and take an interest in what is going on near you and, indeed, across the country and beyond.